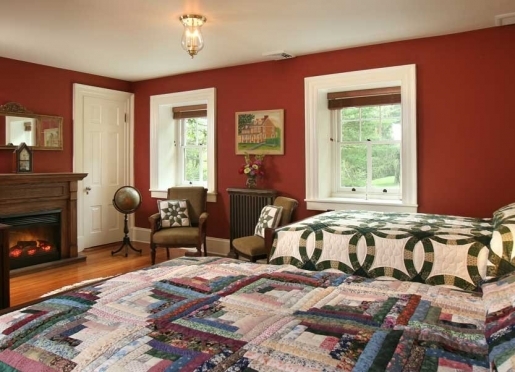 Get away to a beautiful Lancaster bed and breakfast that is unlike any other. 18th century luxury, 21st century comfort. 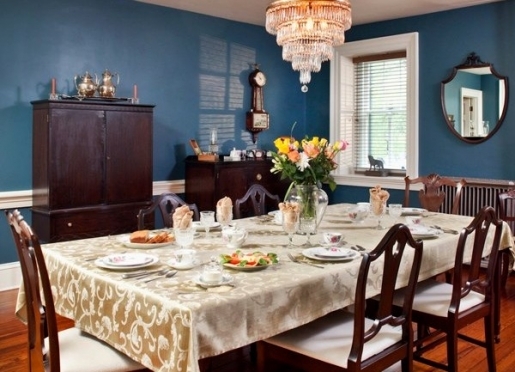 Experience the elegance of a Colonial ironmaster's mansion! 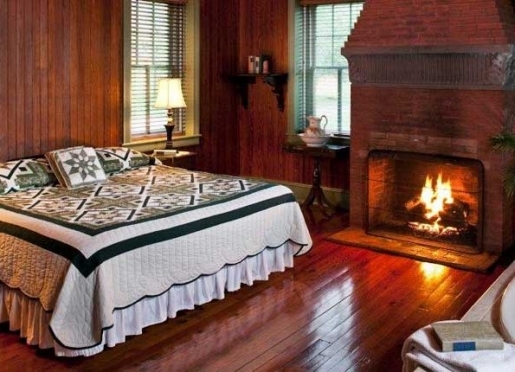 Fully restored in 2006, all rooms at our Lititz, Pennsylvania bed and breakfast include a private bath, individual thermostat, and wireless Internet, and most rooms feature a fireplace and whirlpool tub. The private cottages have a kitchenette, perfect for extended stays. Cable TV and DVD players are available for all rooms. Close to everything, far from ordinary. 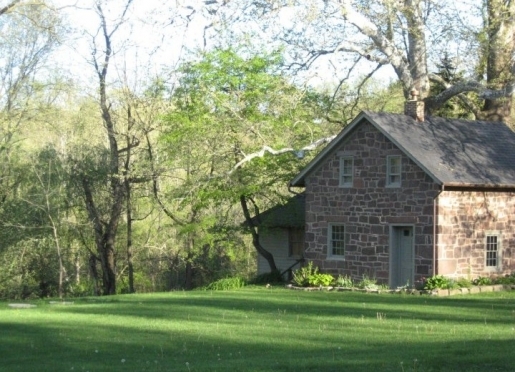 In a secluded valley on 120 acres, between a lake and a natural park, Speedwell Forge is only minutes from the historic small towns of Lititz, Manheim, Ephrata, and all of Pennsylvania Dutch country. 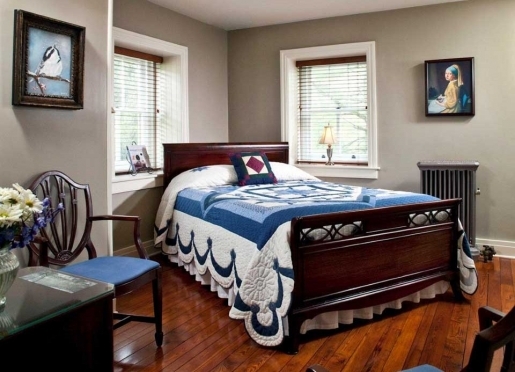 Our Lancaster, Pennsylvania country inn is newly renovated but still maintains its rich history. 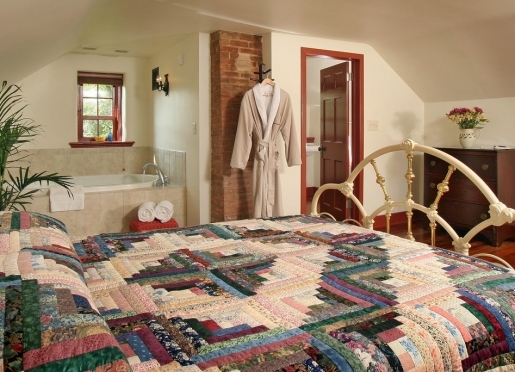 Speedwell Forge has not always been a Lancaster County bed and breakfast. Its story begins in 1734, when Peter Grubb, a mason, literally stumbled upon of the largest and richest iron deposits ever found in the US. He named the area Cornwall, and he built a bloomery to smelt the ore and produce cast (or "pig") iron. In 1742, this was replaced by the Cornwall Furnace, which is now a National Historic Landmark and offers regular tours (The Cornwall iron was mined for almost 240 years, until the open pit mine flooded during Hurricane Agnes in 1972). Travelers are always looking for memorable and relaxing experiences. Let’s discover more through the words of our innkeepers. Many thanks to Dawn Darlington for sharing her own secrets with BBOnline.com! I am close to the towns but still have a very quiet estate to relax on. 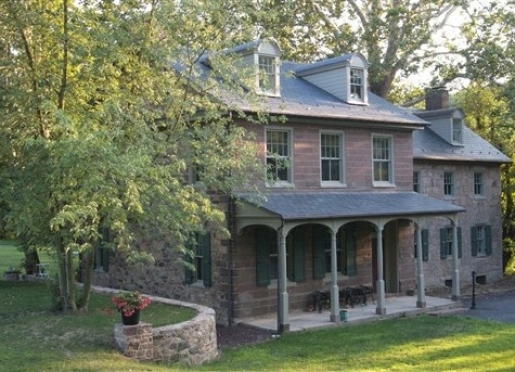 Historical buildings and Wolf Sanctuary of PA.
That we don't treat our guests as strangers, but as returning family. That we offer a bit of nature. The Wolf Sanctuary of PA! That we really do care about our guests, and preservation of nature. Of course visit the wolves, but we also have a wealth of historical attractions, parks, eateries and so much more. Talk to your innkeeper to coordinate that perfect getaway! Of course visit the wolves, but there is also a lovely nature park in walking distance. Everything else you need to drive or bring your bikes (depending on how far you like to ride). Scooters, John J Jeffries, Bull's Head Public House, Tomato Pie Cafe, Family Cupboard, Log Cabin, Lily's on Main just to name a few. There are so many places to eat! 3 bedrooms in the mansion and 3 lovely cottages. Nope, I always suggest other B&Bs that do take pets. The forge required charcoal to heat the iron, and "colliers" would cut down an acre of trees per day to keep the forge in blast. Farmers cultivated the newly-cleared fields, and found the soil to be some of the best non-irrigated farmland in the world. Word spread to Germany and Switzerland, where a group of farmers were being persecuted for their religious beliefs, and the Amish and Mennonites began migrating to Lancaster. 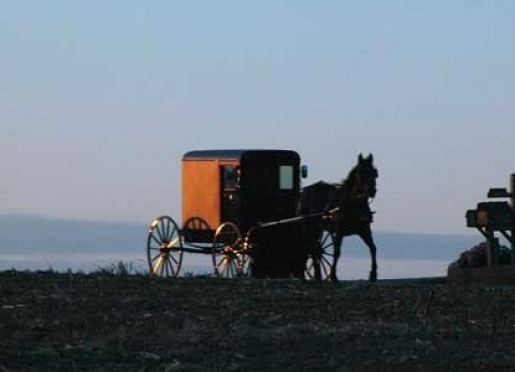 Today, Lancaster has the largest concentration of Amish in the US. Around the same time, a small group of Moravians (another Christian denomination from Germany) established Lititz, a closed religious community. It would be another 100 years before non-Moravians could own property in the town. Robert Coleman was only 16 when he arrived from Ireland. Penniless but educated, he was a clerk in Reading for two years before Peter Grubb hired him as a clerk at Hopewell Forge. Six months later, James Old hired him away, and Coleman lived with the Old family in the Speedwell Forge mansion. There he met Old's daughter, Anne, and they married in 1773. With the help of his father-in-law, Coleman began building his own iron empire, eventually owning 5/6s of the Cornwall iron mine, most of the forges and furnaces in Lancaster County, and 22,000 acres of land. Coleman became Pennsylvania's first millionaire and famously forbid his daughter, Ann Caroline, from marrying a young lawyer names James Buchanan. (Ann died shortly thereafter, and it is widely believed she committed suicide; Buchanan never married and was the only US President who was a bachelor. Ann's portrait still hangs at Wheatland, Buchanan's estate in Lancaster). In 1784, Coleman purchased Speedwell Forge from his father-in-law. 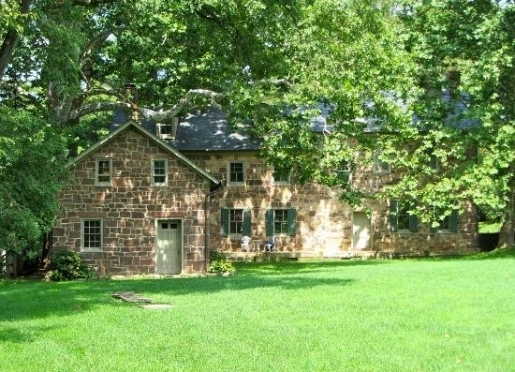 Although he no longer lived there, Coleman expanded the stone house around 1795, adding the east wing in the formal Georgian (or Federal) style popular at the time: two rooms deep, symmetrical, off a central hallway. The ceilings were higher and the moldings were much more intricate than the Colonial half. 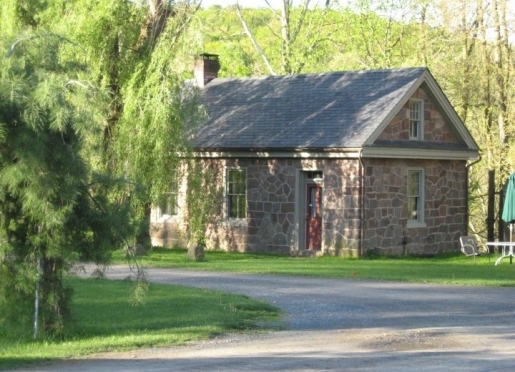 The summer kitchen, paymaster's office, and stone privy all appear to have been added around this time. 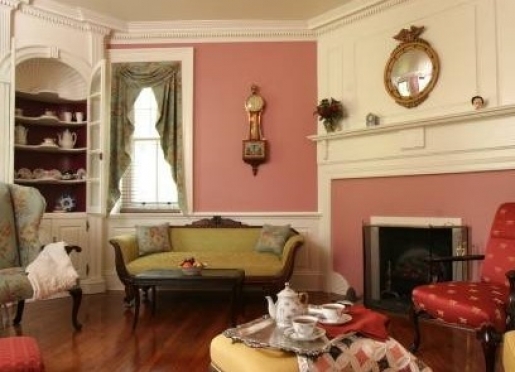 In the 1880s, steam radiators were added, the hardwood floors and windows were replaced, and corner cupboards were built in almost every room to match the original in the parlor. Electricity and indoor plumbing were added in 1941. In the 1850s, anthracite coal was discovered in Eastern Pennsylvania, and ironmaking moved to Pittsburgh and then to Detroit. Speedwell Forge stopped production in 1854, and today there is nothing left. The Speedwell property remained in the Coleman family, however, and they began breeding standardbred horses for sulky (or harness) racing. Their most famous stallion was Middletown, son of Hambletonian Ten. The circular driveway used to be a quarter-mile training track. 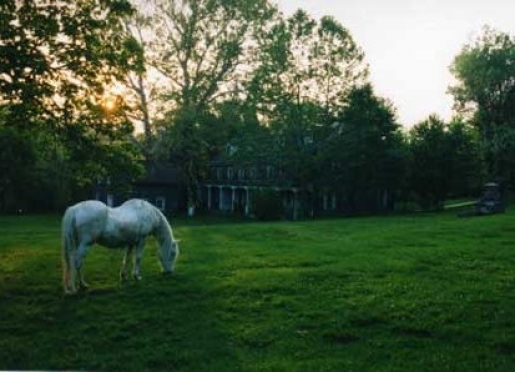 The Colemans sold the horses in 1898, and the property became a corn and dairy farm. 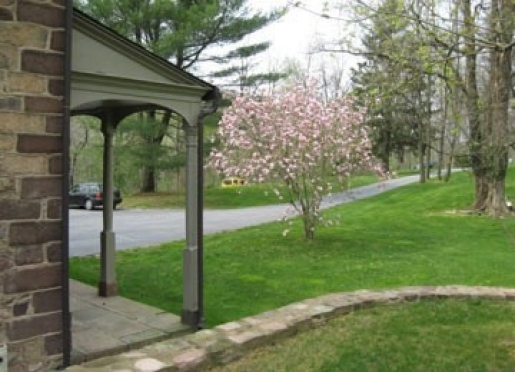 In 1941, Margaret Coleman Buckingham sold the Speedwell property to Gerald and Kathryn Darlington. In the 1960s, the state of Pennsylvania purchased about 500 acres along Hammer Creek and dammed it, creating Speedwell Forge Lake. 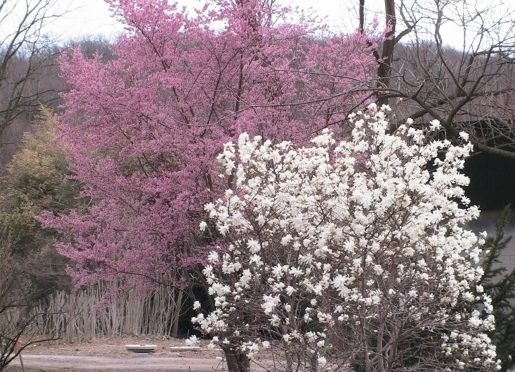 In the 1990s, Lancaster County purchased 300 acres and created the Speedwell Forge County Park. 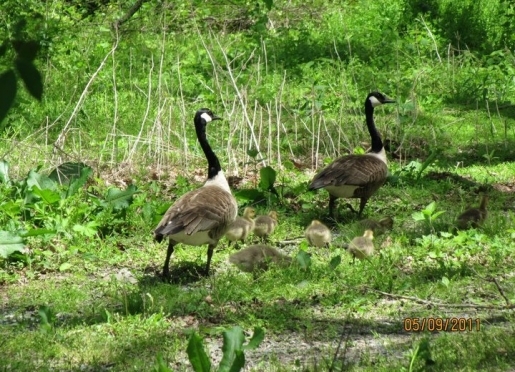 Both areas are ideal for hiking, kayaking, fishing, bird watching, and picnicking. Kathryn Darlington passed away in 1986. Her only son, Bill Darlington, had moved to the other end of the farm and, in 1980, established the Wolf Sanctuary of Pennsylvania. Needing to be near the wolves, the mansion was left vacant for over 20 years. Bill's youngest daughter, Dawn, was born on the farm and always wanted to live in the mansion. When Bill passed away in 1998, Dawn became determined to realize her dream. In March 2005, after seven years of saving, two years of planning, and one year of cleaning, she moved home and began the restoration, which was documented, with photos (Visit Our Website to see the Photos). In 2006, the property was listed on the National Register of Historic Places. The mansion was not changed except for the addition of bathrooms and the kitchen island. The windows and floor date to the 1880s and were fully restored. 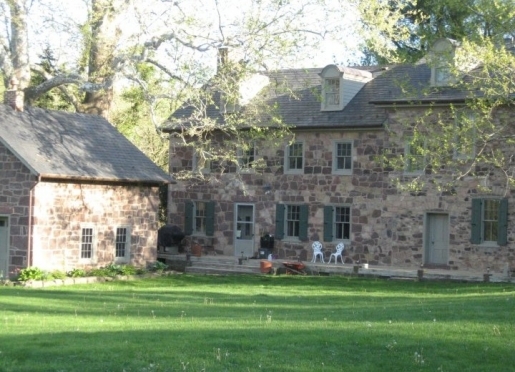 The slate roof was replaced using 80-year-old Peachbottom slate salvaged by Amish roofers from a barn that was being demolished, and copper gutters were installed. The electric and plumbing were completely replaced, and air conditioning, telephones, Internet, and cable TV were added. 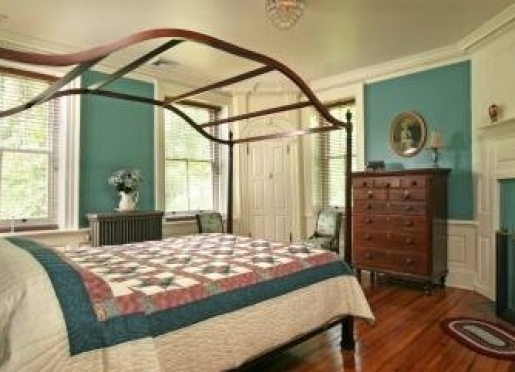 Almost all of the furniture belonged to Dawn's grandparents and was fully restored. A closet was removed to enlarge Kathryn's bath, creating enough space for a six-foot whirlpool bath and separate shower. To avoid the risk of fire, electric fireplace inserts were used in the mansion. Outside, all of the stone was "repointed" (replacing the mortar) and inside all of the walls and ceiling received a new coat of plaster. It took four painters over three months to hand-paint the mansion and cottages. The privy and spring house were also restored. Did we mention the wolves? We also manage the Wolf Sanctuary of PA, with over 40 wolves enclosed on 22 acres, many rescued from across the state. Winter is the perfect time to take a tour and come face-to-face with these beautiful and majestic animals. 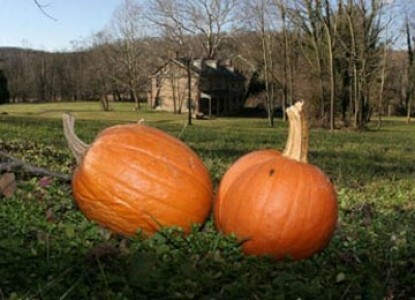 When you stay at Speedwell Forge Bed and Breakfast, expect to enjoy Lancaster lodging at its best. 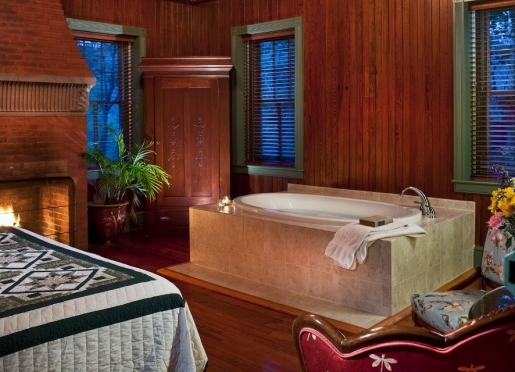 Our Amish Country and Lancaster, Pennsylvania bed and breakfast is rich in history and designed with your comfort in mind. Get away to a place where you can slow down and be refreshed. For the ultimate indulgence, take advantage of our specials and enjoy an in-room massage. You will be greeted each morning with the smell of fresh coffee followed by a delicious three-course breakfast. That is only the beginning. 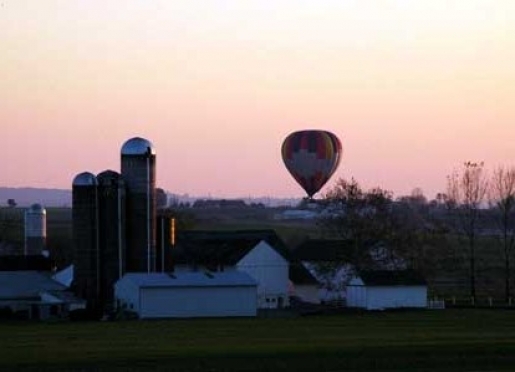 Spend the days exploring all that Lancaster County has to offer. With so many wonderful area attractions, you can easily find something for everyone. End your day by coming back to Speedwell Forge and enjoying some delectable homemade desserts. 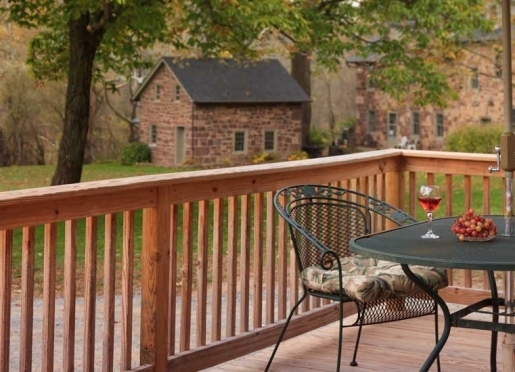 Lititz is near five major airports, close to the turnpike, and convenient to Amtrak. You could be in Lititz in three hours or less! With so much to see and do during your Lancaster vacation, you need a plan! 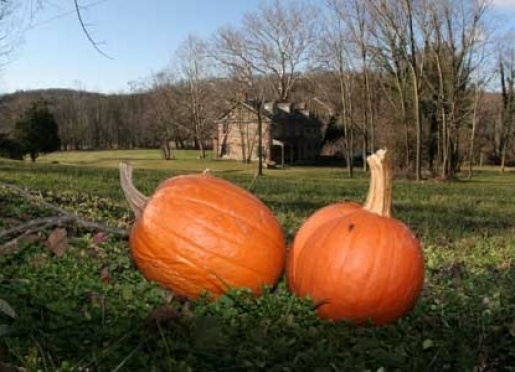 Make reservations for accommodations at Speedwell Forge, and discover the beauty and rich heritage of Pennsylvania's Amish Country. With hundreds of great restaurants in Lancaster County, it would be impossible to list them all. Here are some of our favorites; we highly recommend making reservations on weekends because they are other people's favorites as well. In the 18th century, Lancaster was the largest inland city in America and the tenth largest city overall. It was even the nation's capital for one day! Fortunately, it didn't keep pace with its big city cousins and managed to hold on to much of its history. The Lancaster County Heritage flag identifies culturally significant sites throughout Lancaster County, from museums to historic sites to just cool things to do. These are the things that define Lancaster County. Please respect our Amish neighbors. Remember, this is a real community, not a "living history" museum. Do not photograph the Amish without their permission (Buy postcards instead.) Also, please support Amish-owned businesses and buy authentic Amish and Mennonite souvenirs, dolls, quilts, etc. With plenty of fine dining, many quiet diversions, and picture-perfect scenery all year round, it's no wonder Lancaster County is known as "America's Romantic Getaway." 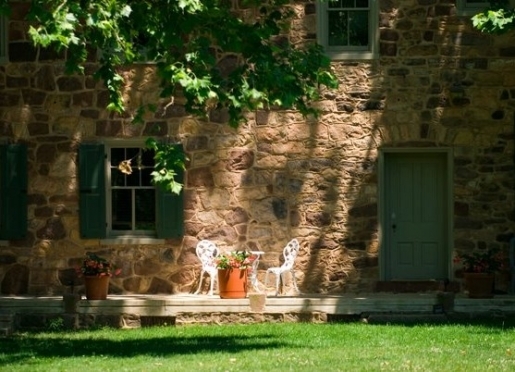 Lancaster is the perfect destination -- plenty to do and relaxing enough for adults. 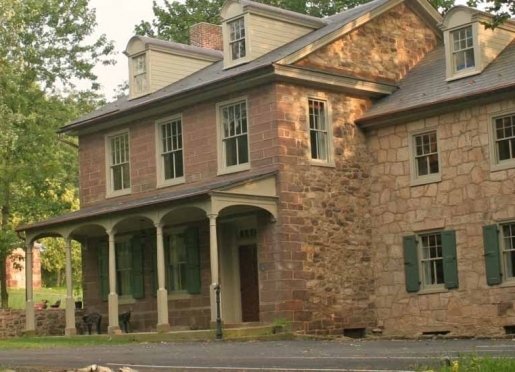 Speedwell Forge is also a terrific base camp for day trips to Gettysburg, Valley Forge, Hershey, and Philadelphipa. Our cottages are perfect for that escape you have day dreamed about. This is your time to reconnect with your loved one. Isn't time you got away? Lots of unique shops, small restaurants, and 250 years of history are all within easy walking distance. 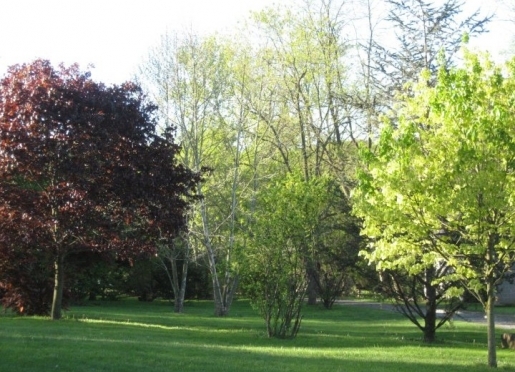 Park at Lititz Springs Park, and spend the day enjoying all the charm this town has to offer. Everything is conveniently located around Penn Square. Start your morning at Central Market, take in a couple of museums, and finish at one of the area's excellent restaurants. Located along Hammer Creek, between a lake and a natural park, along two major hiking trails, Speedwell Forge is perfect for all types of outdoor recreation. Pennsylvania Dutch Country's gently rolling farmland and back roads are also ideal for biking and in-line skating. (You'll often see Amish on kick scooters.) Pack your own equipment and have fun! Of course you are staying on the same grounds as Wolf Sanctuary of PA so will definately want to walk over and meet our wolves. There are no fewer than 20 public golf courses within a few miles of Speedwell Forge! With hundreds of unique shops, two outlet malls, and many locally made products, Lancaster is a shopping paradise. Our only advice is to buy Amish products directly from the Amish; retailers will often double the price. Often just driving down the back roads, you will find signs for Amish products. (As an added bonus, in summer you will also find fresh fruit and vegetables for sale at roadside stands).